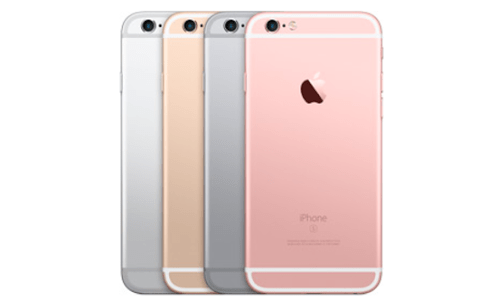 The Apple iPhone 6S was just recently launched last September 9. The looks are very similar comlared to the previous iPhone, but the internal software was upgraded. The latest iPhone was believed to be the answer to the demands of current users. But before Apple Inc. officially launched it, DazeInfo conducted a poll to know what features do these users and readers wish to this new device. Since most of the users had issues with the battery of their smartphones, the poll placed longer battery life with 56% and wireless battery charging with 54%. The Apple company hopes to address the current issues with the battery life by using its faster A9 chip which has low powered cores for day to day usage. The new iPhone 6S has a 12 megapixel camera with 4K video and a two-tone flash. The phone also has its 3D Touch – a light press on the screen will lead you to make previews of the content, might be a website, an image or an itinerary. The phone can differentiate what is a mini tap or a full tap. Although the 6S and 6S plus’ designs are the same, 6S has a faster A9 processor and a Hey Siri feature which lets you speak directly to your iPhone without the need to be plugged in. The iPhone 6S will still use the same Lightning charging cable thus wireless charging feature is not included, but hoping that on the next iPhone, wireless charging will be realized. The reason why Apple is still not using wireless charging is because iPhones are made with a metal casing. This metal material hinders the phone’s ability to experience wireless charging technology. But according to BGR reports, Qualcomm, a tech innovation company, will become the first company to allow wireless charging for mobile devices with metal cases. Thus this will give hope to users that soon, iPhones will be using no more cables in charging. In the anticipation of getting into the world of wireless charging, a lot of mobile device users wish that these mobile battery issues will then be resolved as soon as possible. It would be so convenient to travel with no more cables, with no empty batteries or using different chargers to different phones. These are just a few benefits of switching to wireless charging. It’s pretty cool and is an incredible innovation. Thank you for your comment Gregg, but I strongly disagree. Unfortunately the iPhone 6 doesn’t have native qi wireless implemented. You need a special case. The standard already allows 15W for fast charging (http://wp.me/p2U6SY-AP)and it will not stop there. There are around 100 Million qi devices out there already and an IDTechEx report confirms: “Wireless charging will be on almost all mobile phones and millions of cars by 2025 (http://goo.gl/lyd6E5).